Compared to metal, the Sorento’s plastic fuel tank can withstand harder, more intrusive impacts without leaking; this decreases the possibility of fire. The Toyota Rav4 has a metal gas tank. Both the Sorento and the Rav4 have standard driver and passenger frontal airbags, front side-impact airbags, head airbags, front seatbelt pretensioners, front-wheel drive, height-adjustable front shoulder belts, four-wheel antilock brakes, traction control, electronic stability systems to prevent skidding and available all-wheel drive. The Sorento comes with a full 5 year/60,000 mile basic warranty, which covers the entire truck and includes 24 hour roadside assistance. The Rav4’s 3 year/36,000 mile basic warranty expires 2 years and 24,000 miles sooner. Kia’s powertrain warranty covers the Sorento 5 years and 40,000 miles longer than Toyota covers the Rav4. Any repair needed on the engine, transmission, axles, joints or driveshafts is fully covered for 10 years or 100,000 miles. Coverage on the Rav4 ends after only 5 years or 60,000 miles. The Sorento’s optional 3.5 DOHC V6 produces 7 more horsepower (276 vs. 269) and 2 lbs.-ft. more torque (248 vs. 246) than the Rav4’s optional 3.5 DOHC V6. The Sorento has 2.1 gallons more fuel capacity than the Rav4 (18 vs. 15.9 gallons), for longer range between fill-ups. For better traction, the Sorento has larger tires than the Rav4 (235/65R17 vs. 215/70R16). The Sorento LX’s standard tires provide better handling because they have a lower 65 series profile (height to width ratio) that provides a stiffer sidewall than the Rav4’s standard 70 series tires. For better ride, handling and brake cooling the Sorento LX has standard 17-inch wheels. Smaller 16-inch wheels are standard on the Rav4. For a smoother ride and more stable handling, the Sorento’s wheelbase is 1.6 inches longer than on the Rav4 (106.3 inches vs. 104.7 inches). For better handling and stability, the track (width between the wheels) on the Sorento is 2.1 inches wider in the front and 2.2 inches wider in the rear than the average track on the Rav4. The Sorento EX AWD handles at .78 G’s, while the Rav4 pulls only .71 G’s of cornering force in a Motor Trend skidpad test. 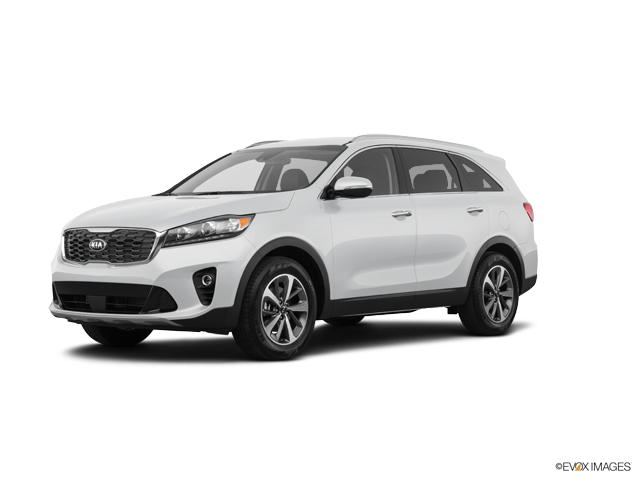 The Sorento EX AWD executes Motor Trend’s “Figure Eight” maneuver 1.9 seconds quicker than the Rav4 (28.1 seconds @ .6 average G’s vs. 30 seconds @ .52 average G’s). The Sorento offers optional seating for 7 passengers; the Rav4 can only carry 5. The Sorento has 10.2 cubic feet more passenger volume than the Rav4 (149.4 vs. 139.2). The Sorento has 2.5 inches more front hip room, 2.2 inches more front shoulder room, 3.5 inches more rear hip room, 3.4 inches more rear shoulder room, 1.3 inches more third row legroom, 1.1 inches more third row hip room and 1.2 inches more third row shoulder room than the Rav4. The Sorento’s liftgate lifts up in one piece, completely out of the way of loading and unloading, while sheltering the cargo loading area. The Rav4’s swing out door blocks loading from the passenger’s side. When two different drivers share the Sorento (except LX), the optional memory seats and mirrors make it convenient for both. Each setting activates different, customized memories for the driver’s seat position and outside mirror angle. The Rav4 doesn’t offer a memory system. The Sorento’s standard outside mirrors include heating elements to clear off the mirrors for better visibility. The Rav4 Base doesn’t offer heated side mirrors. The Sorento’s standard power mirror controls are mounted on the armrest for easy access. The Rav4’s power mirror controls are on the center console where they can’t be seen without the driver completely removing his eyes from the road. The Sorento (except LX)’s optional air conditioned front seats cool the driver and front passenger and help take the sting out of hot leather in Summer. The Rav4 doesn’t offer air conditioned front seats. For greater rear passenger comfort, the Sorento SX/EX V6 has standard rear a/c vents to keep rear occupants more comfortable. The Rav4 doesn’t offer rear vents. With optional voice command, the Sorento offers the driver hands free control of the radio, cell phone and the navigation computer by simply speaking. The Rav4 doesn’t offer a voice control system. According to The Car Book by Jack Gillis, the Sorento is less expensive to operate than the Rav4 because typical repairs cost much less on the Sorento than the Rav4, including $49 less for an alternator, $112 less for front brake pads, $401 less for a starter and $974 less for a fuel pump.